Did you see the yummy Cinco De Mayo burger over at Tried and Tasty yesterday? I was ready to dip right into that queso! On to my newest recipe! We are breakfast people. I love eggs, bacon, waffles (especially chocolate), pancakes, oatmeal… It only seemed fitting that I create a burger that fits in with that category. Minus the sweet starters of course. You can do a lot with a burger but I pull the plug when it involves syrup. 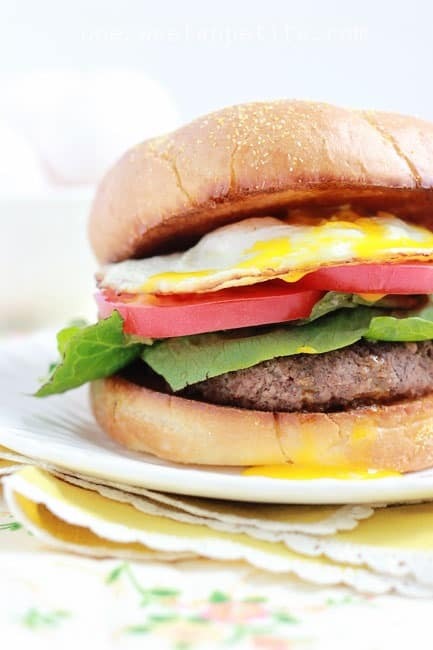 I decided to stick with the savory side… Introducing the breakfast burger! You know a recipe is going to be amazing when you start with chopped bacon and an over medium egg. Once we topped it with fresh sliced tomato and lettuce… mmmmm. The secret to this burger is a little hot sauce. That part is optional but we prefer a little kick to our eggs. BROILER: Place onto a baking tray and broil 5-8 minutes on each side or until cooked to your liking. Top with cheese the last minute or two if desired. GRILL: Like the broiler, cook 8 minutes on each side or until cooked to your liking. Add cheese the last two minutes. Cook your eggs over medium or easy. Place onto your burger with the remaining toppings. Enjoy! I love having the bacon mixed into the meat. It gives it a wonderful pork flavor along with a little crunch. If you would rather skip that step you could always just place the bacon right on top. I think it would be great with a little avocado too! 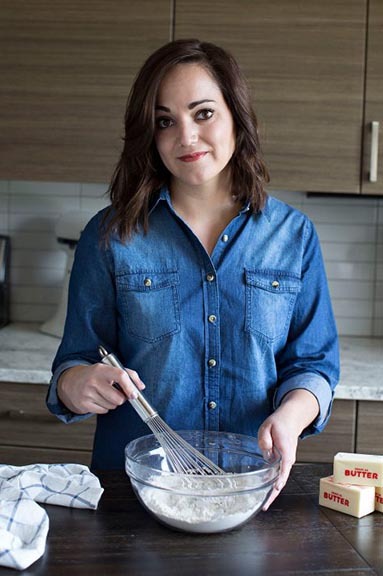 Don’t forget to stop by Tried and tasty and check out her next recipe! I’m drooling over this Reuben Burger! My favorite burger at Red Robin is the Royal Red Robin Burger that has an egg on top. It is SO GOOD!!! Love this easy way to replicate it at home – thanks for the fab recipe! 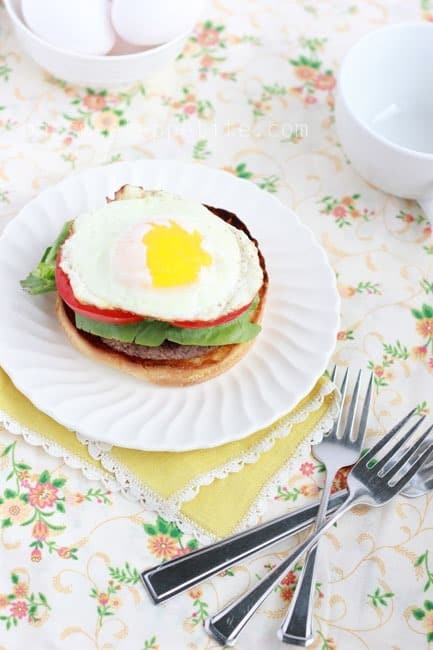 I would have never thought to make a breakfast hamburger. Looks delicious! This looks incredible! Seriously! 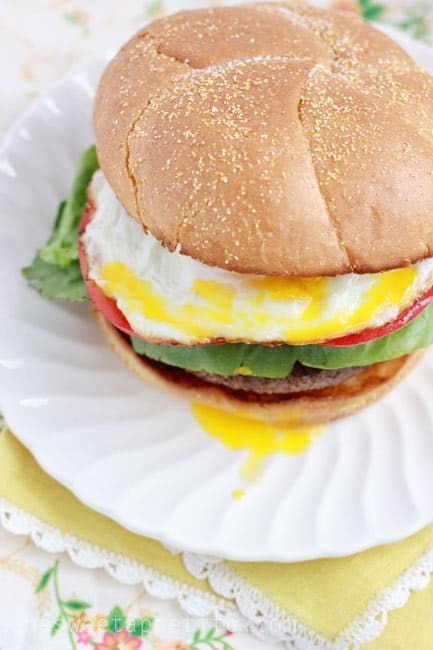 I haven’t ever tried egg on my hamburger, but I like the sound of it. Thanks for the recipe! I’ve never thought of a breakfast burger, but why not? It looks delicious!